Tides are the cyclic rising and falling of Earth's ocean surface causedbby the tidal forces of the Moon and the Sun acting on the Earth. 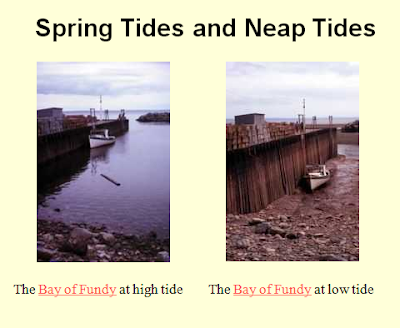 Tides cause changes in the depth of the sea and produce oscillating currents known as tidal streams, making prediction of tides important for coastal navigation. The strip of seashore that is submerged at high tide and exposed at low tide, the intertidal zone, is an important ecological product of ocean tides. Nghiên cứu năng lượng thủy triều và sóng. • What causes the tides? - What causes the waves?